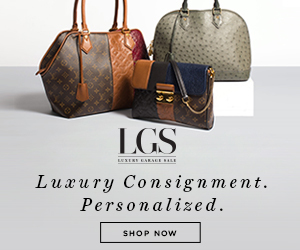 Monday Motivation: When In Doubt Work Out | Gina Miller's Blog - A working mom's blog about fitness, travel, handbags & beauty. I hope you had a great weekend and are looking forward to enjoying a long holiday weekend. 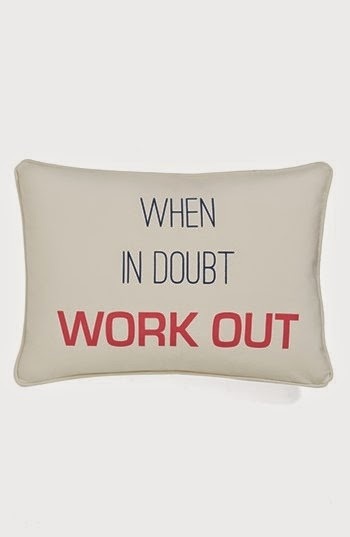 I found this "When In Doubt Work Out" pillow and couldn't help but smile. It's pretty solid advice. Think of exercise as a reward, not punishment. That approach will change your life. Looking for a quickie? Workout that is. Here is a slew of 15-minute workouts that burn fat, featuring yours truly. Even if you exercise, sitting all day can still kill you. Well that's a Debbie Downer. So if you're stuck at your desk, here are exercises you can do at your desk featuring a heavy dose of squats, chair crunches, calf raises, desk pushups, tricep dips and bicep curls. Check out these diet myths that can hurt your weight loss efforts. For example, calories don't matter if it's a healthy food. Or you can eat whatever your want if you exercise. Both of these are WRONG. You can't outrun the fork. I gained weight when I was training for marathons because I would eat that extra cookie. Or six.